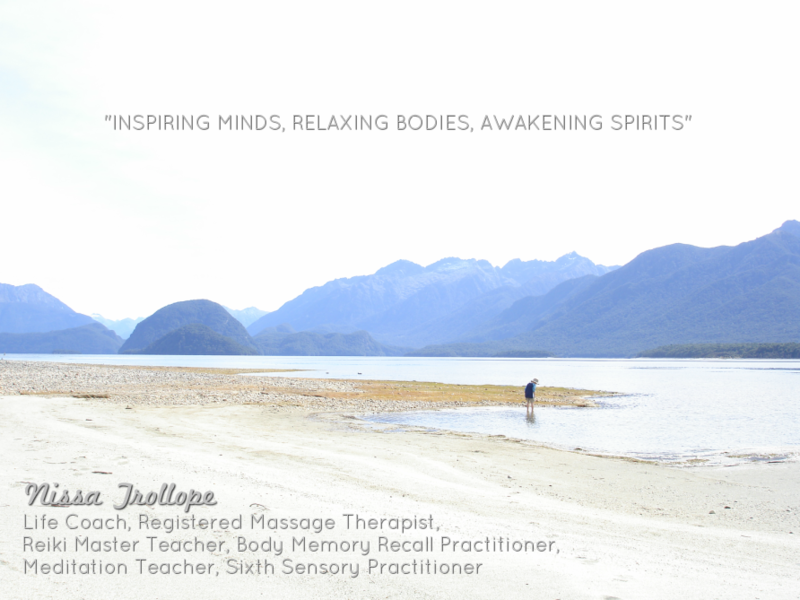 "WHERE MIND, BODY AND SPIRIT MEET"
"Nissa Trollope is highly educated and certified in several "bodywork" type therapies. I have been receiving massage therapy from Nissa consistently for a year. I have experienced premium service and healing from Nissa. Nissa is extremely organized, and offers a luxurious and tranquil setting for clients. Nissa has provided me with a comfortable environment and has exceptional massage skills. I have experienced extensive relief from neck, back, wrist and TMJ pain, [and she] has made a huge impact with my pain management and rehabilitation after I had a car accident in 2012. Nissa is always punctual and exudes professionalism. She goes above and beyond with her services and performance as a massage therapist. Nissa has a flourishing and cutting edge business, and I highly recommend her services. Thank you." Myofascial Release, CranioSacral Therapy, Advanced Trigger Point Therapy, Muscle Energy of the Cervical, Thoracic and Lumbar Spine, Neuromuscular Therapy, Scapular Stretch and Rotator Cuff Release, Esalen Deep Tissue, Manual Lymph Drainage, Acupressure, Ethics and Boundaries, SomatoEmotional Release, Body Memory Recall, Reiki, Intuition, Channelling Higher Wisdom, Meditation, Sixth Sensory Certification with Sonia Choquette and CTI Co-Active Coach Training Program. Communication Skills, Singing Bowl Sound Healing, Toning, Tuning Forks Healing, Tapping, Meditation, Shamanic Healing, Inner Child Work, Yoga, Qi Gong, Manifesting, Spirituality, and many other forms of Mind, Body, Emotions and Spirit Healing. I am a strong supporter of self care and offer many resources. To balance out my life, I enjoy travelling, reading, hiking, working out, inner spirit dancing, comedies, documentaries, yoga, meditating, and competing in the Tough Mudder and Warrior Dash. Email, call or text for more information and to book your treatment.